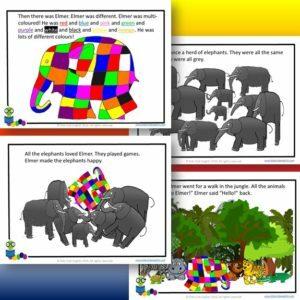 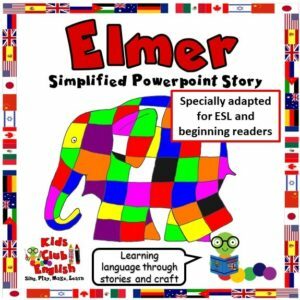 Elmer is one of the most popular kids’ books in many languages around the world. 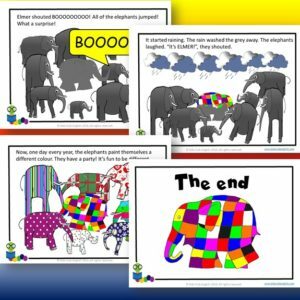 The message that it’s ok to be different is an important one for children. 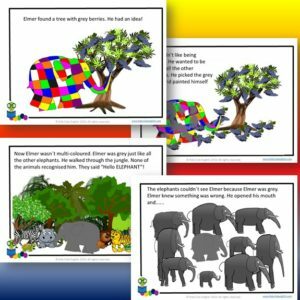 It’s a wonderful story to practise colours, patterns and animal vocabulary too. 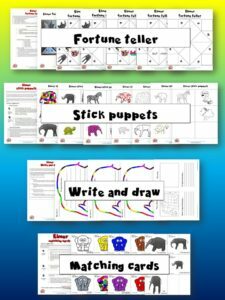 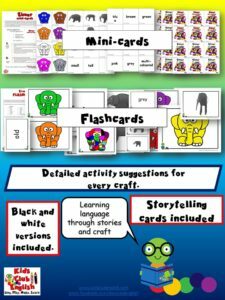 This exciting activity pack can be used to support children’s learning in a variety of ways. 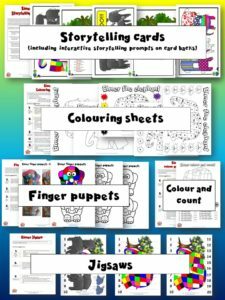 Use with or without the story to help children with colour recognition, understanding patterns, counting, literacy and vocabulary development whilst building on the theme that we are all unique. 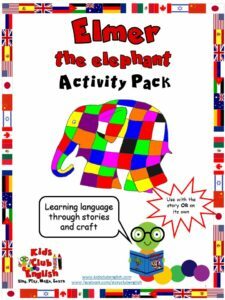 Includes simplified and repetitive language to help kids acquire English.